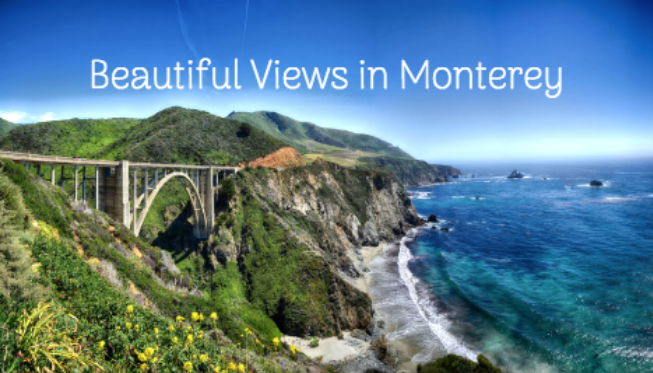 Looking to take in the beauty of Monterey? Check out some of these places that will let you discover the natural beauty of the area while also learning more about the history of Monterey. Read on to learn more. Located just a few miles east from downtown, Jacks Peak County Park is a beautiful county park featuring a number of hiking trails that lead to breathtaking views of Monterey Bay below. Views of Pacific Grove and the Carmel Valley can also be seen. In total, there are 11 trails for guests to choose from totalling approximately 8.5 miles. This is a popular destination as the hikes are relatively short though still offer astounding views at the end of them. Walk the Coffeeberry Trail and see actual fossils embedded in the shale by the trail. Meanwhile over on the Skyline Trail, make sure to bring your camera along to capture the beautiful views below! Visit the website to learn more about the various trials to choose from. You’ve heard of the Golden Gate bridge, but have you heard of Big Sur’s version of the Golden Gate? Located right along the Big Sur coastline, you’ll find one of the most Instagrammed area of the coast - The Bixby Bridge. The Bridge takes you over the Pacific Ocean along a stunning backdrop of mountains and dramatic cliffs along the West Coast. Take in the beautiful views and be sure to snap a picture so you can remember your time in Big Sur. You’ll find the Bixby Bridge along Highway 1 in Big Sur. Mission San Carlos Borromeo del Rio Carmelo, also known as simply the Carmel Museum, is the second museum built out of the 21 missions that line that are located up and down the California Coast. The Carmel Mission was founded by Fr. Junipero Serra in 1770 and today can continued to be visited by guests from around the world. This mission also features four museums that offer information on the history of both the Monterey Peninsula as well as the history of Carmel Mission and the rest of the California Missions.